(Washington D.C.) Ucs News Unconfirmed Sources report that the Trump Administration has lost track of Rex Tillerson. 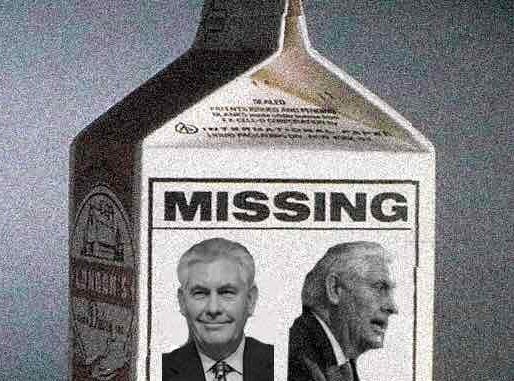 Tillerson, the former CEO of Exxon Mobile, has gone missing. White House officials deny that Tillerson is missing, but he has not been seen in public for over a week. Staff from the State Department have been looking for Tillerson for several days. Off the record, sources indicate that he may have been missing for more than a two weeks. It could be that Tillerson has so many messes to clean up that he just hasn’t made it back to Washington. Also, the disorganization of the White House could be a contributing factor. They might have sent him on a diplomatic mission, but forgot to write down where he went, or maybe they forgot to arrange for a flight back home. 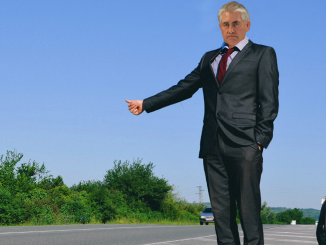 As a service to our country, keep an eye out for Secretary of State Rex Tillerson. For more information on Rex Tillerson. Hillary Clinton Wins Presidential Election in Parallel Universe! Streisand Advice to Trump on Russia Scandal too Little too Late. John McCain : "I will ask Sarah Palin and Antonin Scalia to lead nation womb registration program"